Aung San Suu Kyi was a world hero but does she command the same respect? This is now a question being asked repeatedly due to her apathy towards the plight of Rohingya minority and her controversial statements about their citizenship status. The world had stood by Suu Kyi and openly supported the pro-democracy woman who had been under house arrest by the military government in Myanmar but after her release and victory, her stand on the Rohingya issue has been shocking to say the least. Worse, Rohingyas were getting killed in the rioting when she was on a tour to Europe. 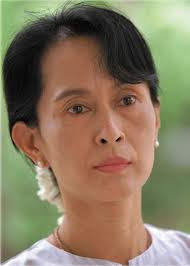 She didn't speak about the violence back home, issued no direct appeal to her people to stop violence and while newspapers said she was treated like 'Rockstar' and awarded doctorate, Suu Kyi made THE controversial statement. The 'iron' woman, who was supposed to have spoken for the rights of the community, has gone to the extent of questioning that if the minority indeed belongs to Burma. What can be the biggest irony? She was a hero for everyone but no more for me and perhaps many others. The Rohingyas, a stateless people, have been living in Myanmar for centuries until the military government in 1982 [through a citizenship law] decided to strip the off their nationality. The community that is termed by Amnesty and other agencies as one of the most persecuted in the world, is now termed 'outsider'. Rohingyas population estimates range from 8,00,000 to 1 million though it is suspected that the government figures are markedly less than the actual population. The community has faced hostility, prejudices and massacres for the last 60 years. But the woman who suffered most at the hands of the military, seems to be in sync with the junta's [army] views about the Rohingyas who have been discriminated, oppressed and systematically forced out of Burma for decades. Now pandering to popular sentiments, Suu Kyi has refrained from making any statement. No wonder, the Rohingyas are dejected and have lost hope from the woman they had supported and even vote for in election, aiming for change. Does she feel the Bamars would get upset if she speaks for Rohingyas! That't what politicians do. But this is not expected from a leader of her stature. The ethnic riots between Rakhine Buddhists and Rohingya Muslims left nearly 90 dead while 90,000 were displaced. But she ket mum. Bangladesh didn't let fleeing Rohingyas, who wanted an asylum, and forced them to go back to their country. It was in this scenario that reporters during her tour to England, France, Ireland and other countries, asked her repeatedly on this humanitarian crisis. She kept mum and avoided a comment on this issue, even as the extent of violence had shaken her country. When she was not left with any alternative, she shrewdly said, "The rule of the law is needed". Is this you expect from a statesman, a Nobel prize winner or a world leader or a fighter? Newspapers were finally getting critical about the fact that her tour appeared more a celebration and PR exercise. She seemed to echo the hardline sentiment that Rohingyas are illegal immigrants [refugees] in Myanmar. She finally said that Myanmar must clarify citizenship rules and that she was unsure whether Rohingyas could be regarded as Maynamar nationals. WHAT A SHAME! The world is changing Ma'am. The fascist rule had somewhat managed to keep the country insulated but news about the clashes and genocides can't be suppressed any more. It is no bravery to get aligned to right-wing forces for minor gains. Nationalism becomes Jingoism easily. It takes a GANDHI to counter populist mood and use the leader's moral authority to say things that may not appear nice [and to go against the tide]. So those who compared you to the great Nelson Mandela, may have to do a rethink now. As an activist you struggled, spent a lifetime fighting oppressive forces. People put faith in you but you let us down. Your tour is over and soon you will be back to Yangon [formerly Rangoon]. If you don't speak for the victims, just because they look like Bengalis, you will be considered an accomplice in letting this persecution go on. We urge you to make amends and take steps for reconciliation between Rohingya and the rest. Isn't it time for you to live up to your own reputation and redeem yourself? I hope you don't mistook the term 'Massacre Man' for some other person. Here I have used it for Ranvir Sena leader Brahmeshwar Singh, a man who rightly deserves to be remembered by this term. It is a dark chapter in Indian history and not in a distant past but it has almost been forgotten. That there was a man who led a militia which held massacres at will. Innumerable women and children were brutally killed by this feudal casteist organisation, at the helm of which was Brahmeshwar Singh alias Mukhia. This private army supported by landlords didn't spare even girls and infants, who were slaughtered, because they felt 'saa.npole bhi saa.np bante hain' as progeny of snakes shouldn't be allowed to grow because they would also one day become your enemy and exact revenge. The group that committed such atrocities on Dalits, Recently, when he was shot dead, there was the realisation and recollection of that period. Social tensions haven't gone but the violent phase of caste wars between the landed upper castes and the poor lower castes in Bihar, is over. But is it really over? It is not on the ground but still exists. The fact that a lawmaker--minister in Bihar government Giriraj Singh termed him a Gandhian, should probably unsettle us. But was there any outrage in media, except a few statements from opposition parties in Bihar. Giriraj Singh also said that Mukhiya 'ji' had dedicated his life for the farmers, poor and in order to bring peace and harmony in the society. Unimaginable words. Aren't they? 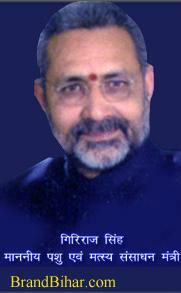 Singh is cabinet minister in Nitish Kumar's JDU-BJP government. Ranvir Sena was involved in mindless killings of Scheduled Castes. For example, they killed 50 people in 1995. In Bathanitola [Bhojpur], Patna and Ekwari, they killed 22, 10 and 10 Dalits respectively in the next couple of years. Then came the massacres in Jehanabad like Laxmanpur Bathe killings and the murders in Aurangabad, Nawada and Gaya. Such violence should have prompted Centre & state governments to immediately take action. It is true that it came as reaction to Naxalism but the Sena couldn't have grown without support from section of politicians. It had become a monstrous force for years. Such was their brutality that girls' faced were disfigured in attacks and kids' necks hacked. Sadly, even today, we see his supporters among politicians and society. 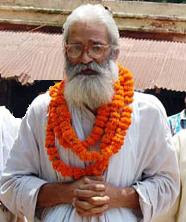 Brahmeshwar Singh was finally arrested but the man who faced charge of causing massacres managed to come out of jail in 2011. He was recently killed and his supporters in Ara went on ransacking shops and houses, burning government property after the incident. But Giriraj Singh was not alone in his admiration for the slain Ranvir Sena head. There were others also. The last rites showed that he had wide support among certain sections. Thousands were present in the funeral procession and even thereafter. Clearly, the violence is not on the streets but it remains in the mind. Incidentally, the BJP minister Giriraj Singh is the same person who recently took on Chief Minister Nitish Kumar, when he said that JDU won't accept Narendra Modi as NDA's prime ministerial candidate. Singh, who is minister for Animal Husbandry and Fisheries, made a sharp attack on JDU and even dared the CM to sack him from his cabinet. This post has been written as there is need to remember history, quite recent events, which we must not forget. Think of Indore and the thought that comes to mind is 'poha' and 'sev'. People from Malwa are known for even preparing curry of 'sev' for their meals. No doubt, Indore is known as a City of vegetarian delicacies. But it does have a culture of authentic Mughlai food as well. Of course, the die-hard non-vegetarians may not find the kebabs and koftas with as much ease, but the city has certain wonderful eateries for non-vegetarians also. Due to the strong vegetarian influence, there is no slaughter of buffalo in this region of Madhya Pradesh. Hence the cheap 'bada' [baraa] meat is not available here, which is a problem for poor sections. However, there are some nice hotels including sophisticated non-veg restaurants where you get the Indori mutton and chicken dishes. The visit to Hotel Madani Darbar was an experience. I asked for their specialty and the reply was, 'Saalan wala ya rookha'. In the end, I settled for the basic mutton grevy and biryani. The biryani was superb. Not the kind one gets in UP or even in Bhopal. The grevy was also nice. I was told that Nafees Hotel has certain good dishes like Mutton Angara. But I couldn't get time to visit the hotel during this tour. I was invited for the famous Bohra Biryani at a house but once again I couldn't make it due to the tight schedule. Some other good eateries are in Ranipura and Bombay Bazar. Veggies can of course have endless places to go. The 'Chhappan Dukaans'  shops near Rajwada are well-known. But sev [termed as senv here] are stuffed into everything, even the famous Indori patties, which are a favourite among lot of people. Indore's proximity with Gujarat and Rajasthan, and the influence of trading communities, is reason for the image that the town has. Even in hotels and guest houses, it is common to see the message that 'please don't bring non-vegetarian food in hotel rooms'. Outsiders may find it strange but then everyplace has its uniqueness. Jains, Maheshwaris and Agarwals have a strong presence in Indore. In fact, Indore figures among the top five districts in terms of Jain population and concentration. So one can understand the reason for the [shakahari] vegetarian culture here. However, non-vegetarians need not lose heart. The scenario is not as bleak, you can find good non-vegetarian food joints and can eat your heart's content. It was in the streets of Indore watching the 'horse' during Muharram processions that a boy got inspiration for art and whom the world got to know as MF Husain and here was born the swashbuckling batsman--Captain Mushtaq Ali, who holds the record of scoring the first century* in test cricket for India abroad, in England. The City where Lata Mangeshkar was born and also where born was India's original comedian--Badruddin Qazi alias Johnny Walker, another dreamy-eyed youngster who like the illustrious painter, had left for Mumbai and became a legendary Bollywood actor, but could never forget his humble roots. Indore has innumerable such rags to riches stories about people who turned national heroes. This is the City where Salim Khan [of scriptwriters Salim-Javed], the father of Salman Khan, belongs. Indore, which was termed mini-Bombay, was always home to vibrant culture. The Holkar's cricket team for which Denis Compton also played, had brought Indore to the international cricketing map. After all, which cricket enthusiast can forget the team's record score of 912-8 in the Ranji match against Mysore. The great Colonel CK Nayudu also played for Holkar and lived here. In the past, Indore was always known for its communal amity and Hindu-Muslim culture. Owing to strong Muslim presence in Malwa region, in Western MP, and the towns around, Indore had a distinct place in Muslim culture of North India. One of the first Muslim leaders of Jana Sangh, Arif Beg, who famously addressed election rallies with the slogan after emergency, 'Mere Mulk ke Maalikon', which was loved by the common man and had made him a national figure, was born here. He rode to electoral success during the 'Janata Lahar' and won from Bhopal. It is a place to which belonged a woman who shook the Indian politics. Shah Bano, a resident of Indore, was given divorce by her lawyer husband, in her old age, and her case went up to Supreme Court. Despite opposition by Arif Mohammad Khan, Rajiv Gandhi succumbed to the conservatives' demand. The demand for maintenance allowance by Shah Bano turned the very face of Indian politics. It gave the word 'appeasement' to right-wing's dictionary. Even though on the advise of Arun Nehru [and possibly Arun Singh], Rajiv Gandhi government got the locks of Ram temple opened at Ayodhya. This was done as a balancing act and for the appeasement of Hindus. However, the sequence of events affected national politics and communal amity was disturbed. LK Advani took out a 'rath yatra', and it ultimately led to rise of BJP and the destruction of Babri Masjid. The right-wing had got a fresh lease of life in India due to the Shah Bano episode. For them it was was a godsend. They successfully managed to give a message to Hindus that the government went out of the way to please Muslims. Old-timers still recall with nostalgia that once Indore had a strong communist presence. The widely respected Parsi leader Homi Daji was elected from here as MLA twice and even got elected to the Parliament. He had become an MP in 1962, winning as an independent candidate, defeating the Congress and Jan Sangh. Once a city of workers, the closure of mills [you might have heard of the Jain trader-textile king Sir Seth Hukum Chand] led to unemployment in the 80s. As in Mumbai, Kanpur and Ahmedabad, the labour movements' end led to crime and communal divide. Naturally, underworld developed and self-styled dons appeared in these places. The sacked workers's sons had no jobs. It was this crop of disgruntled youth who were easy prey for criminals. The situation did change in later years but even today Indore has one of the highest crime rates in the country. Indore also had a strong underworld. It supplied shooters to Mumbai gangsters till Azamgarh emerged in the 90s. Bala Baig's empire in Indore was destroyed in the early 90s when Sunderlal Patwa became the Chief Minister. For mafia it was a favourite region. The opium [poppy] cultivation in Mandsaur [and Ratlam] brought the area on the international drug-trafficking map. Narcotic smuggling and illegal drug trade brought money and muscle to the underworld. The crackdown in 'Bombay Bazaar' in Indore, had however dealt a severe blow to Mafia here. Some localities in Indore were notorious for communal riots and there was a period when the city had riots several times a year [2005 onwards], now the city has been free from communal trouble for the last few years. Indore has a dark underbelly. Unfortunately, it became a centre for both Hindu and Muslim fundamentalists in the 90s. It was here that the leader of the banned Students Islamic Movement of India (SIMI) Safdar Nagori, who hails from nearby Ujjain, was arrested. SIMI was quite strong here and so was Abhinav Bharat. The most wanted right-wing Hindu extremists, Ramji Kalsangra and Sandeep Dange, apart from many other fanatics whose role is suspected in bomb blasts and terror strikes at Samjhauta Express, Hyderabad, Malegaon and Ajmer Dargah, hailed from here. Quite like Mumbai, a throbbing city with a dark underbelly. In the last few years, economy is once again back on track here and the city seems moving ahead, shedding its communal baggage and the legacy of underworld. Today Indore is a bustling commercial centre and most populated city of Madhya Pradesh. For a poetry aficionado like me, it is also a city where Urdu poet Rahat Indori lives. Locals take pride in the fact that Rahul Dravid was also born here though he later settled in Bangalore. Another important factor that should be mentioned is that Dr BR Ambedkar, the architect of Indian constitution was born in MHOW (Military Headquarters of War, now Mhow), the twin town of Indore, located just 20-odd kms from here. 2. Investigation and Media's role in Investigation: Indore, Hindutva's haven! Indore is the biggest city in Central India and the commercial capital of Madhya Pradesh. A city that produced famous cricketers, artistes and Bollywood actors, it is also known as the seat of Holkars--the Maratha dynasty--before independence. People of Indore are known for their love for food. Of course, there is immense pride among them for Rajwada, the imposing structure in the heart of the city, that was damaged [burnt] many a times in the last 250 years. Just like Char Minar represents Hyderabad and Rumi Gate-Bhulaiyan complex reminds us of Lucknow, the Rajwada symbolises Indore. In fact, the people of Indore, may appear too proud and possessive of this grand palace complex. It was after a long time that I visited Indore. Though it was again a trip made in a hurry, I wanted to spend sometime at the Rajwada and managed to do so. It is located in the midst of a crowded place, where there is heavy traffic apart from shops. People are drawn to this part of the town by the vegetarian delights and also it serves as a hangout for local residents. The board at the entrance suggested that it was 'Mughal-Maratha' style of architecture, with a blend of French in parts of the building. The structure is so huge that it was difficult to capture it with camera, until one goes quite a distance away from the building. Inside, hundreds of pigeons welcomed me. There were not many people inside. Just 2-3 families sitting in different corners, and a young couple enjoying moments of peace, away from the dust and heat on the streets of this densely populated town of nearly two million. Though it was extremely hot outside, one could feel the change in the air, owing to the vast open space inside the Rajwada. The national flag was visible on the top of the magnificent building. Along side, one could see the Holkar flag aflutter. For a person who is interested in history, archaeology or cultural heritage, it is a fascinating place. For others perhaps, a bit desolate. One wished, they had put up photographs of Holkar kings. Else, they could have turned at least one of the floors into a museum or picture gallery. Another regret was that the visitors are not allowed to go upstairs in this seven storey [Ground plus six] building. On one side of the Rajwada is a temple which was full of devotees. At the gate of Rajwada, vendors sell toys and other snacks. The colourful tongas are quite in sync with the place, which is at contrast with the character of the bustling city. It was nice to see that the building has been restored. Still, carelessness on part of Archaeology department officials and local civic authorities was evident. People employed in the building take their vehicles through the gate and park them inside, which not only affect the structure but also affect the look of this majestic heritage building. The three lower storeys are built of stones and the top ones are wooden. There are beautiful carvings on stone. I liked Rajwada. It was neither like the ruined 'Quilas' nor the extremely opulent of 'Mahals'. It is unique and has an austere grace. I found this stone and wood structure intriguing. Also, I felt an air of sadness inside the complex. Why? I couldn't fathom the reason. Perhaps, your feelings might be different. Indore is a traders' town. It has large Bania population, particularly, Marwaris--the Agarwals, Jains and Maheshwaris, and has a strong Bohra Muslim concentration. These trading communities are settled here for ages apart from a large number of Gujaratis and Rajasthanis. And yes, Indore has a distinct Maharashtrian flavour much more than any other city in Madhya Pradesh. In terms of civic infrastructure, it does fall behind. People feel there is less focus on the city, unlike Bhopal, which was a much smaller town but after it became capital it was given disproportionate attention while Indore was neglected. The city, despite its rich heritage, doesn't have as many monuments as you expect. The reason is that Holkars for a long period had kept Maheshwar as their capital, and though there are 'chhatris' and Lalbagh palace, one expects more from Indore. The people of Jabalpur, once the biggest city of central India, also feel that their city has been discriminated, but so is the feeling in Allahabad and Kanpur also that the capital, Lucknow, gets all the focus from State government. View of the hall inside the building. After Mughal emperor Aurangzeb's death, the Marathas began their military expeditions in the North. Subsequently, Malhar Rao Holkar was made the leader of these campaigns after Peshwa Baji Rao's nod. In 1730 AD, when Maratha armies were camping in Northern India, Malhar Rao requested Chhatrapati Shahu for a jagir, so that he (Malhar Rao) would not have to worry about the financial needs of his family. Malhar Rao was granted the wish. The jagir was named in his wife Gautma Bai's name in 1734. The jagir comrpised villages in Malwa and Khandesh. These chunks of land included Indore, which was then a small town. Thence Malhar Rao Holkar's family made Indore their permanent home. Prior to the Holkars' hold, Indore was a pargana office under Mughals. It was given to Peshwa's brother Chimnaji Ballal in 1724 but later in 1732 Malhar Rao Holkar's family got it. In 1740 AD, Baji Rao Peshwa passed away and Malhar Rao was made subedar of Malwa, which in turn, established his suzerainty over the entire region. This was the beginning of the foundation of the princely state of Holkar which remained for over two centuries before it finally merged into Indian union in 1948. 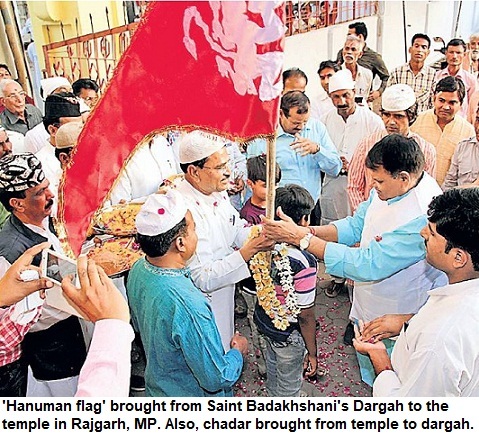 This year , Murad Shah Faqir was replaced with new priest Bairagi Roop Das at Maruti Khedapati temple of Indore 'qasbah'. In 1740, Malhar Rao asked Chaturbhuj Qanungo to bring traders and settle them at Indore. The aim was to develop the town and turn it into an important city and financial centre. Till then Maratha soldiers and other officials stayed at Kutcheri here but now they were asked to stay at the 'baada' known as Hakimvada. The construction of the 'Sarkari baada' or the official premises began in 1747 near the banks of the Khan river. But even before the building could be completed, Marathas were defeated at the battle of Panipat in 1761. The crushing and unexpected defeat was a big blow for the elderly Malhar Rao, who died, soon after in 1765, near Alampur. As Gautama Bai had already died, the jagir was now given to Malhar Rao's daughter-in-law, the famous Ahilya Bai [wife of late Khanderao], known as Maharani Ahilya Devi, in history, and is remembered for justice, charity, religious nature and her noble ways. She made Maheshwar, a town 91 km from Indore, on the banks of Narmada, as her capital, and ruled from here. However, Indore remained the chhaoni for the Holkar forces that remained stationed here. In 1799, Tukoji Rao First's death led to a feud for succession. Ahilya had died in 1795. Tukoji Rao Holkar's son was disabled. Subsequently, his second* wife's son Yashwant Rao First succeeded in capturing power. But later on he not only turned against British but also the Scindias. In 1804, the courageous Yashwant Rao attacked Ujjain and burnt down the city, which was then the capital of Scindias. Subsequently, Scindia's military commander Sarje Rao Ghatke attacked Indore and robbed the whole city. Buildings were burnt down and the city was ravaged. After burning down the grand Rajwada, he even got the site here dug for days. He thought that there might be treasure hidden underneath, but unfortunately for him, Ghatke couldn't anything. Yashwant Rao Holkar First had made Bhanpur as his capital. But in 1811, he died. His wife Tulsa Bai became the defacto ruler by placing the minor Malhar Rao II on the throne. At Mahidpur, Holkar forces were defeated by the British Army. Then, Major General Sir John Malcolm and Holkar prime minister Tatya Jog had the famous Mandsaur treaty in 1818. One of the conditions of this treaty was that Holkar would have to make Indore their capital. When Holkar royal family came to Indore, they had come in an extremely poor state. With no place to stay here, Malcom arranged for their stay at another 'baada', the 'Adhunik Bhandari High School', for them to live in. Tatya [also Tantiya] Jog ran the administration efficiently and during the period 1818 to 1833, the current Rajwada [alternative spellings: Rajvada, Rajwara, Rajbada] building was constructed once again. The part which was destroyed by Sarjerao Ghatke was re-constructed. Once again, in 1834, fire caused destruction of one of the floors. It was the extensive use of wood in the construction that was reason for the spread of fire and the destruction. In 1844, a minor boy Tukoji Rao II was adopted and the first major ceremony of the Holkars--the Raj Tilak-- was held in this building in 1852. Later on, the building was renovated further and changes were made. It is constructed the epitome of Muslim-Maratha [Hindu Rajput] style of architecture apart from a Latin touch [French as well]. The southern and the northern side represents Mughal art while Eastern door, Ganesh Hall shows Maratha style, the Durbar Hall and Ahilya room made in French style. The last, Rajwada, got burnt was in 1984. After years of apathy it was finally restored. The scion of the dynasty Usha Devi Holkar took special interest and it was renovated.